The art of photography evolved the minute the first camera equipped drone became available. Now, you can reach the angles and spots you never could before with your old camera and tripod combination. But, does simply owning a camera drone make your photos astonishing, or is there more to it than we think? The answer is simple, just like with regular photography, it comes down to how good you are, not how good your equipment is (having a high-tech drone model certainly helps, but it won’t take pictures on its own). And, remember, no matter how good you are, you can always get better, so practice, practice, practice! To help you out a bit, we are offering 5 tips that will make your aerial images even better! Tip #1 – Find a Drone With a Good Camera and Learn Everything About it! The quality of an image directly depends on the quality of the camera so the formula is simple, the better the camera the better photos you will make. Now, we wish we could say that it’s that simple, but there are numerous camera drones on the market, and how to know which one is the one you need? Go for the models that have a higher number of MP, have the Altitude Hold feature and GPS control for a much stabler and smoother flight, and check the owner reviews before making the final decision. Again, we will make it easier for you and recommend checking out an article talking about some of the best aerial photography drones. Even though the First Person View gear (FPV) was designed primarily for drone racing, it makes the job of framing the shot perfectly much easier. You could use your Smartphone to get the live feed from your camera and frame the shots, but adding FPV goggles into the mix will make it easier, especially when shooting on a sunny day where the screen of the phone is practically useless. Some FPV goggle models come with the Head Tracking feature, which allows you to control the movement of the camera by simply moving your head in the desired direction. How cool is that?! But, keep in mind that such goggles cost quite a lot, so if your budget doesn’t agree with you on this, you can always find a friend who you can teach how to pilot the drone while you focus on getting that perfect shot. This will require an additional FPV camera, but they are quite affordable, and of course, you will have to work as a team in order to position the drone for the shot. Again, just like with regular photography, going to higher ground gives you a wider angle and allows you to frame your picture much better. When it comes to drone photography, this phrase can be simply changed into Go Higher! This way, especially if you own a drone that can carry a DSLR that can use the zoom, or a drone model that already has a zoom capable camera (Like the DJI Inspire 1 model), you will have a wider view of the area, thus, more possibilities for creating a breathtaking image. But, before you decide to go Max Height, check for drone regulations in your country as in most countries, the maximum height you can reach with a drone is limited by the law. If you just got your high-end drone model and got disappointed after taking a look at your aerial footage from the first flight, because it doesn’t look anything like the footage from the commercial ads, don’t panic. The thing that they usually (read deliberately) forget to mention is that they used camera lens filters. No matter how good a camera is, when pointed at the sun, you can forget all about true colors and right light exposure. But, with these filters, your images will get that true color and be saved from that dreadful overexposure and sun glares. A camera drone without a gimbal is useless for aerial photography. While in the air, the motors and the propellers create too much vibration that goes through the camera itself, which results in blurry images and we don’t what that, right? Furthermore, if your camera is in a fixed position, it changes the angle every time the drone moves and even the slightest position change can ruin your shot. So, what options are there? Easy, get a gimbal. This is a device that uses electrical motors to keep the camera leveled all the time, and no matter what you do with the drone, the camera will always deliver crystal clear images and videos. The high-end drone models usually come with a factory installed gimbal, but if this is not the case with the one you chose, you can easily order one and install it yourself as this process is quite simple and doesn’t require any engineering skills. The important thing to know is that there are 2-axis and 3-axis gimbals. The latter one offers better camera stability. Why? Well, it stabilizes your camera on all 3 axis (roll, pitch, and yaw) while the 2-axis one only covers the roll and pitch axis. The infamous Jello problem, caused by the rotor vibrations, is worse with a 2-axis gimbal because it doesn’t stabilize the camera in the yaw axis. The 3-axis gimbals are capable of significantly, if not totally, reducing jello, thanks to stabilizing the camera the yaw axis. At the end, you can choose which type of a gimbal you’ll use, but you have to use any of the mentioned if you want clear images and smooth videos. So, now you have a few, new pointers on how to make your aerial photos better and what to do to use the full potential of your drone and its camera. Remember what you learned here, and try to find the right drone, camera and additional gear that suits your personal preferences, and hit the skies in search of that perfect aerial photo! Just remember, practice makes perfection! Guest article written by: Jack Brown is a true drone passionate and he focused his education on this amazing field. Thus, he graduated the Drone/UAV Pilot Training Certificate program and now he’s a member of the Association for Unmanned Vehicle Systems International. His main purpose right now is to find and develop new features and help others discover the wonderful experience of flying a drone. For this, he is the main editor and content creator at MyDroneLab Blog where you can find everything you want to know about drones. Great tips! I’ve tried at least have a dozen drones but I still haven’t mastered the art of getting a perfect shot. I’ll definitely try out your tips! Drones are one of my favorite gadgets. The aerial shots delivered by Drones are just beautiful. I had an opportunity to get my hands on DJI Mavic Pro’s controller and that beast drone is amazing. It folded up to the size of a hand and it runs so fast. I loved reading about drone photography here. I’ve been thinking about starting a hobby in aerial photography. I have seen so many amazing photos and videos recorded by drones, and I think it is something I could be good at. I”m glad you mentioned using filters with the drone. Lighting is different in the sky, and I wouldn’t want the light to affect the quality of the video or photo. Qudos to Jack Brown. I can now understand what FPV is. It seems critical to good aerial photography. Also, a gimbal is understandable as a great invention. I guess the secret with drones is to buy the best quality drone that you can humanly afford. No toys. The Mavic Pro, Phantom 4 and Inspire upwards, for that great photography you can see on Instagram. Any ideas about which one? Thanks. GD. Thanks Jack for these amazing tips! I think you are right in getting the best quality drones and a good quality camera if you are doing aerial photography. It takes practice at first but once you get used to flying a drone, then one can focus on the photography part. I am a newbie to the world of Ariel photography and can’t afford those expensive DJI drones. Currently, I own an SYMA X8C ($150) drone. 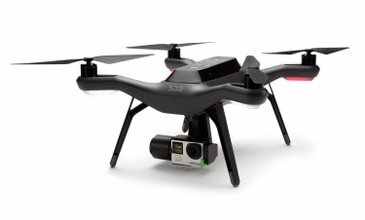 The best part about this drone is it is GoPro compatible, I want to upgrade its default camera(2mp) to a good action camera. Please suggest me some nice action cameras !!! I just got my first drone and loving it. I managed to get a second hand Phantom 4 for about half price…. Just wondered what are your favorite sites to learn flying techniques? Matt recently posted… Are there any drones with a 1 hour flight time?…..We investigate! Previous post: How to Come Up with a Strong Password?